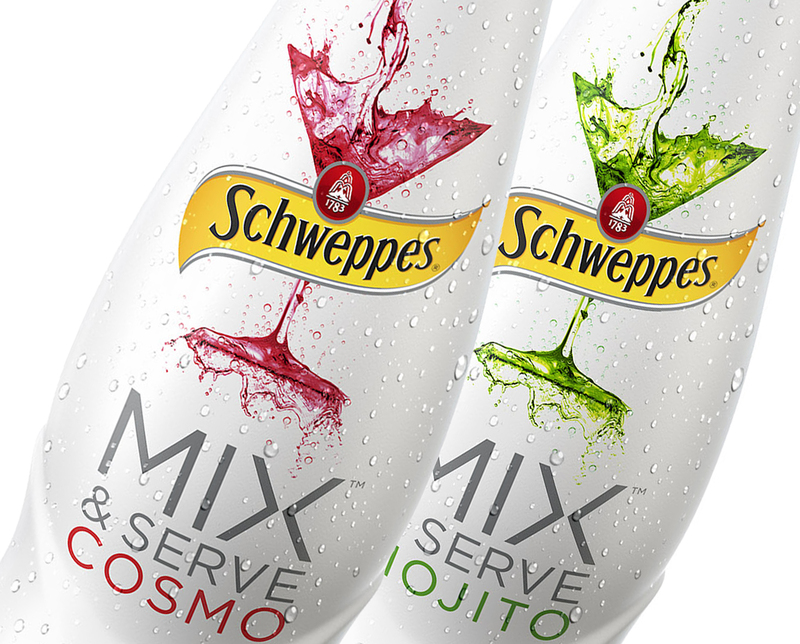 We worked with Schweppes from the very inception of this category changing idea - a non-alcoholic mixer tapping into the growing in home cocktail consumption trend. Consumer research helped define the audience and the specific offer, and established which visual cues communicated the proposition better than others. 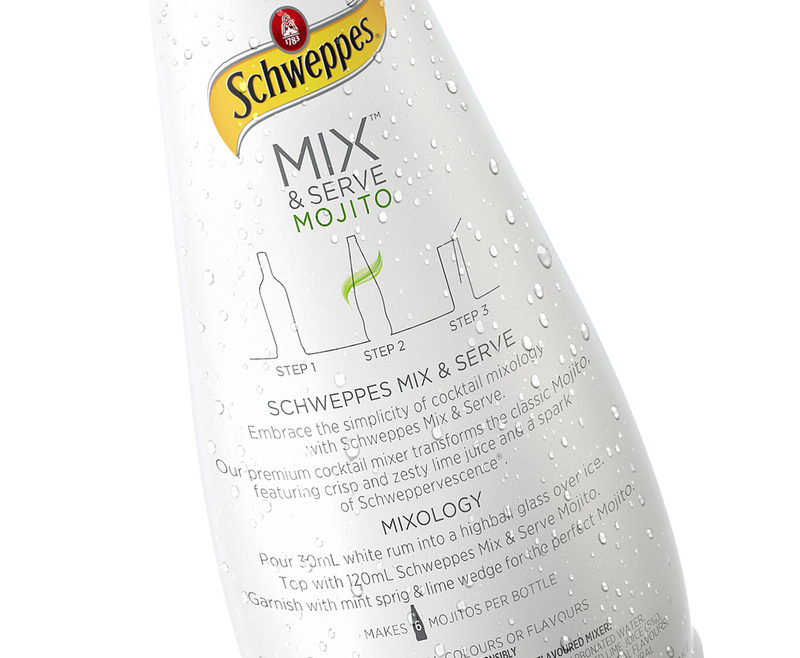 The result is an exciting full bottle shrink sleeve with a dynamic illustrated cocktail glass made entirely of the liquid. 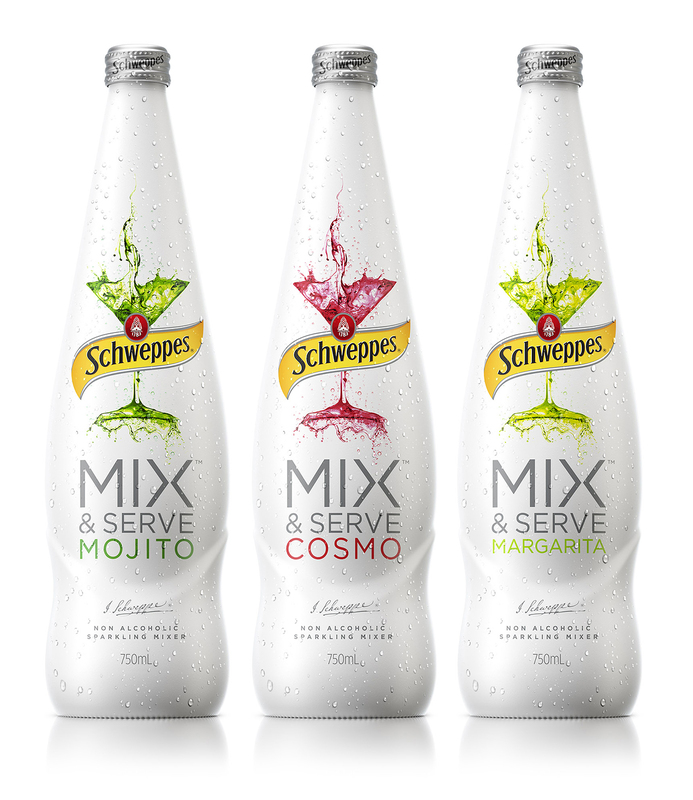 An entirely new product offer from Schweppes that involved breaking the rules with the use of their brand mark on a white background and a deliberate attempt to move into more premium offers. 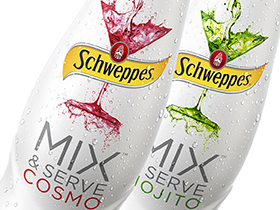 In the first 6 months Mix & Serve has been a great success.